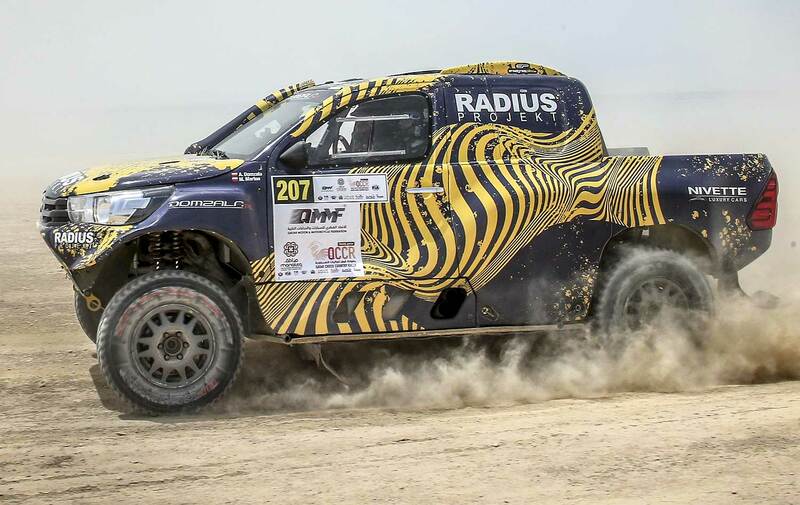 Saudi Arabia’s Yasir Seaidan and French navigator Laurent Lichtleuchter sealed a podium finish in the second of the Overdrive Racing-run Toyotas and Poland’s Aron Domzala and Maciej Marton were fourth overall in a third car after a drama-filled five days in the Qatar deserts. The Dutch crew of Erik van Loon and Wouter Rosegaar survived two gentle rolls in the team’s fourth car and set some competitive stage times on the other three selective sections to finish ninth overall. 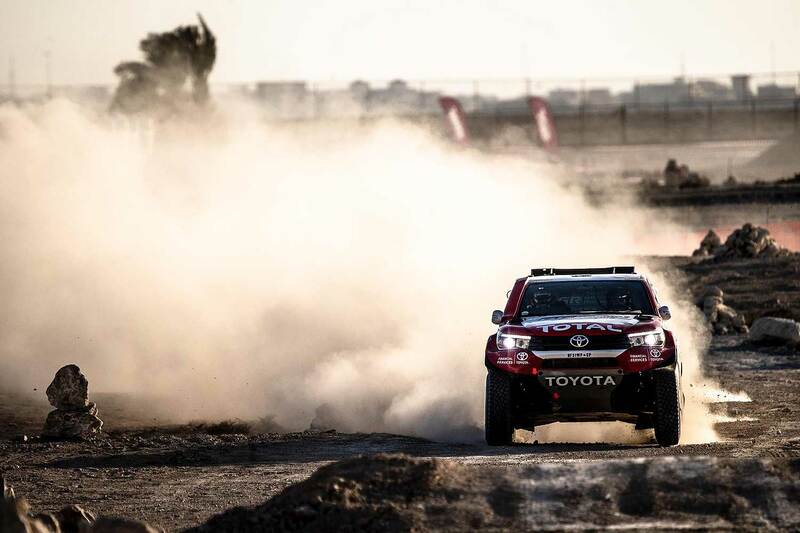 Giniel de Villiers and navigator Robert Howie in a second Toyota Gazoo Hilux were forced to retire their Toyota after the first passage control when navigator Howie complained of back pain. 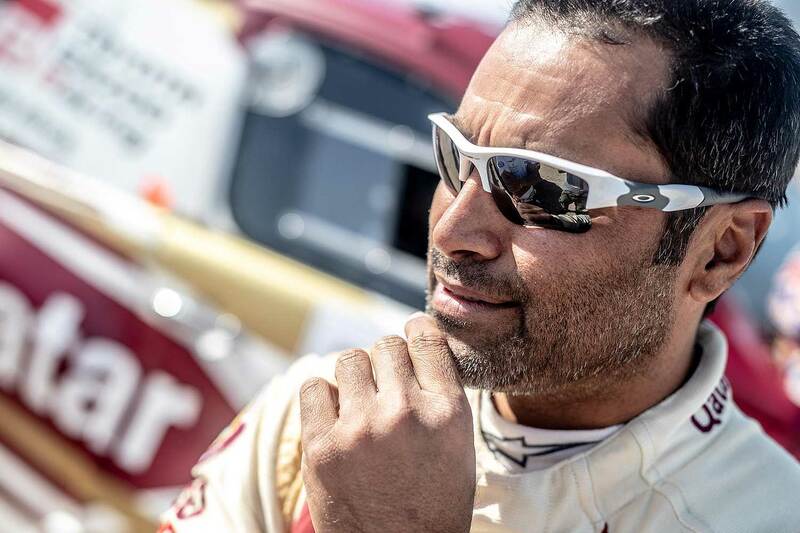 The South African was hospitalised for checks but the former Dakar champion’s first experience of the Qatar deserts came to an abrupt end; he had been fifth fastest through PC1. 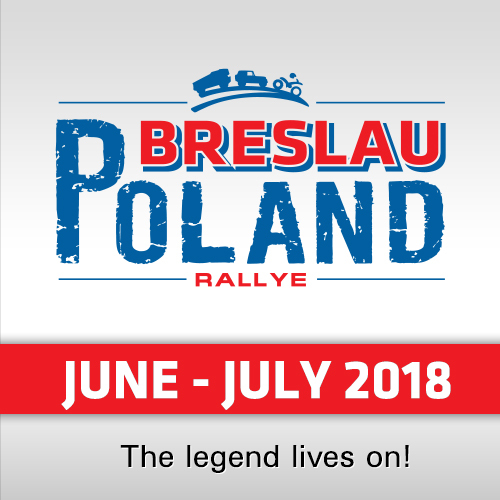 Nasser Al-Attiyah and Matthieu Baumel played the strategy well at the start of the final stage and fell behind Przygonski to enable him to follow his rival to the finish. But the crew noticed an oil pressure warning alarm on the run south along Qatar’s western coast and stopped the car immediately and retired from the race. 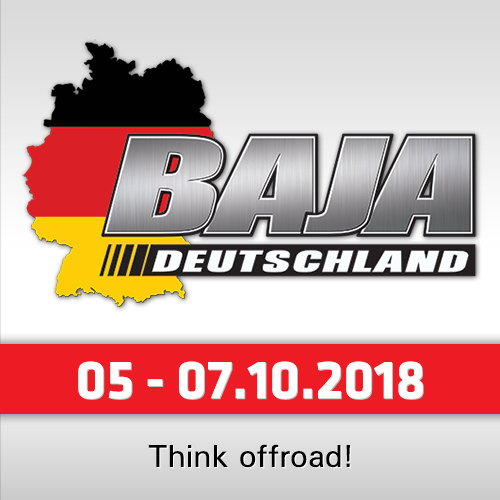 The other three Overdrive Racing Toyota crews lost valuable minutes with crucial navigation errors: Seaidan suffered small delays with navigation and a flat tyre but actually climbed a place to fourth in his Overdrive Toyota on the back of Domzala losing considerable tine with navigational problems over the closing kilometers. The youngster finished the day’s section 38 minutes behind his Saudi team-mate. Erik van Loon was on course for a top-three stage finish until he lost over 20 minutes in the closing kilometres trying to find a tricky waypoint. 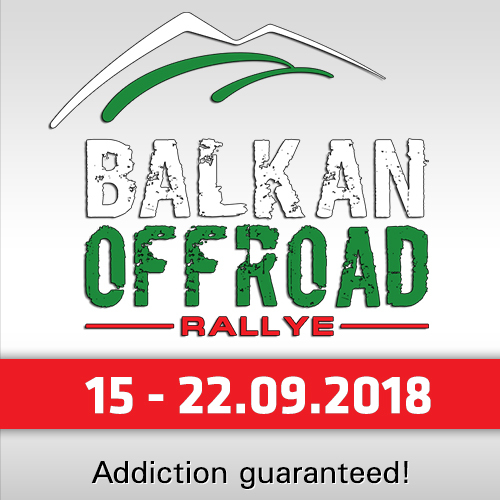 It was a bitterly disappointing moment for the entire team but Seaidan and Domzala offered a little consolation by reaching the finish in fourth and fifth overall after their own navigational struggles during an arduous week. The FIA World Cup resumes in Kazakhstan at the end of May.